‘and hopefully, into potential lovers. The key to doing that is by going on a DATE with her. There are two basic ways to gradually lead her into this, namely: hanging out with her along with your mutual friend(s) AND continuing the interaction online through networking sites like Facebook. However, it’s cool if you’re the kind of guy who likes to do cold approaches on total strangers in everyday places like bookstores, record bars, convenience stores and so on. After all, there’s more than one way to skin a cat. Regardless of your chosen method of meeting women however, you obviously need to go out with her on an exclusive date if a relationship is your goal. Personally, the dating method I recommend is a gradual, multi-tiered approach. What I mean by that is I take things one step at a time, continuously gauging and ESCALATING a woman’s interest little by little. You see, a successful pursuit is the result of mastering the COURTSHIP PROCESS whose length depends upon a given woman’s disposition. If you plan your dates around this basic context, it won’t be long until she’ll be chasing after you like a lovesick puppy. So let me break down the dating structure I’ve successfully adapted over the years. Initially, you’ll need to know her better in a one-on-one environment before taking things up a notch. That’s why your first date with her should be a RELAXED social affair. There shouldn’t be any pressure at all at this point (although a little sexual tension is fine and even expected), so keep things light and FUN. You know the typical scene in a TV show where the leading lady is flustered over what to wear on the first date? Don’t put your woman in this predicament. This cliche’ has been done to death and you should be SHAKING THINGS UP with her. If you want to break the mold, you’re going to have to skip the typical romantic date routine and be INNOVATIVE. Simple ‘ instead of asking your lady out to an expensive restaurant, meet up with her at a casual public place like a coffee shop or a juice bar. After all, the point of going on a date is to ENJOY her company, and not treat it like it was a job interview where you have to prove yourself to her. Don’t fall into that NEEDY mindset. Furthermore, innovative first dates like these happen to be VERY budget-friendly. NOT that I’m saying you should be a cheapskate, but splurging right at the beginning screws up the courtship process. This isn’t about doing the ‘pulling-out-all-the-stops’ kind of stuff, but rather doing them at the RIGHT TIME. In her mind, these things will have way more impact and value if they’re given as a reward rather than something that doesn’t need to be earned. But we’ll save that for later ‘ right now, let’s talk about setting up the first date. I’m assuming at this point that you’ve already made initial contact with her (either through your friends or on your own) and have obtained that ever-important phone number. Generally, it’s advisable to call her back within a maximum of one week after that first encounter. Wait any longer and the rapport that you have may FADE away into nothingness. If at all possible, call her at HOME so she’ll have a better chance of writing down the details. Emails, as well as voice and text messages, are at risk of being accidentally deleted or overlooked. Even calling her mobile isn’t a good idea because she may be distracted or won’t have anything to write with. If there’s one thing you should know about inviting her, it’s the importance of having a DEFINITE PLAN with specific details (i.e. the time and place where YOU want to meet). Remember, women appreciate a guy with a firm masculine essence. If you’re gonna call her up and sound unsure, it’s a HUGE giveaway that you’re not really in control of your life. Is she prejudging you? You better believe it. Don’t tell me that your own brain isn’t running in the background when you’re checking out potential women to approach. That’s just the female mind at work, brother ‘ sometimes, it’s better to go with the flow than against it. As much as you can, suggest a place you’re already familiar with so you have the homecourt advantage. Like I said, you might feel antsy anyway, so you might as well pick a comfortable spot. It’s only natural for anyone to have a sense of uneasiness when they’re on unfamiliar ground. Keep this at bay by inviting your girl somewhere you’d feel at home. Keep in mind that your time and venue should be at a place convenient not just for her, but for you as well. It’s ok to be reasonably flexible about setting up a date – but not to the point where you have to travel half across town or cancel other important appointments just for her. When I say ‘little’, I’m referring to fleeting little indications that you’re into her. You don’t want to push her away by telegraphing TOO much interest early on, so you can do it in smaller, bite-sized chunks of subtlety. When it comes to conversation, a woman will want to experience positive feelings while she’s talking to you. Making her feel good during a conversation is essential to generating major attraction. The feminine essence is all about emotions; if you can trigger the right ones within your date, she’ll pin them on you. Play your cards right, and she’ll inexplicably be feeling very good the next time she thinks about you. In this case, being guilty by association is a GOOD thing. Focus on upbeat topics that serve a springboard for other positive things to talk about later on. For instance, try sharing interesting anecdotes. A good way of doing this is by telling her about the time you got into a funny situation but came out of it OK. The point here is to give her an idea that you’re a relatively optimistic guy who can keep his cool and take the bad stuff in stride. Her subconscious needs some assurance that you can handle life’s curveballs because you’ll eventually have to protect her from the same stuff later on. It’s simply her feminine side seeking the rock-steadiness of your masculinity. So obviously you should skip any subjects that could bring down the good vibe. Conversation no-no’s include ex-partners, political affairs, anything related to bodily functions (not even as a joke), violence and any other negative stuff that will turn her off. And if you really want to seal the deal, you can talk about romantic stuff without coming off as cheesy. What I like to do is introduce mushy topics in a fairly indirect way. For instance, try bringing up a romantic situation you heard about from a friend and tell your date what YOU think about it. After that, get her talking about the subject by asking for HER take on it. Let me give you an example: ‘You know, I think it’s weird in a cool way when two people just connect and sort of fall into their own little world. Of course, there are a hundred other questions you can pattern in the same way. Get creative and think of people, places and situations which will help you think of something to ask her during your date. Good conversationalists make it a point to look into the other person’s eyes while she’s talking. It’s OK for your gaze to be elsewhere as you’re talking (while occasionally looking at her), but look into her eyes with a reassuring smile when it’s her turn to speak. 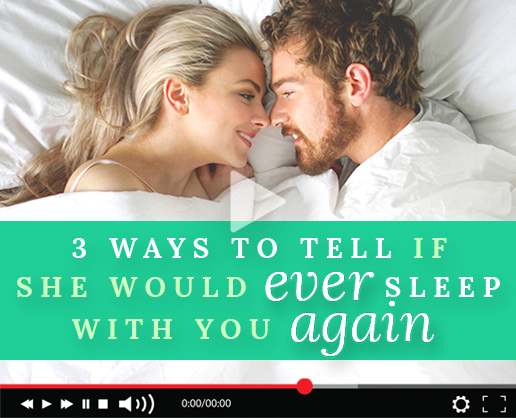 Trust me – your undivided attention is one of the most powerful tools to win her over. While you’re at it, don’t be stingy with the compliments. LISTEN to what she has to say so you can appropriately praise something important to her. While the rest of the guys out there are giving compliments about her looks, throw her off by praising something OTHER than her body. She’ll appreciate you for it. You don’t have to make her fall in love with you on the spot’you just have to lead her in that direction. The things that we’ve talked about so far are meant to arouse this curiosity ‘ not to mention keep you FAR away from the ‘friends zone’. Lastly, you’ll want to keep the time on your first date to a maximum of one hour so you can wrap things up while the getting’s good. It may sound counter-intuitive to leave when the chemistry is at its peak, but think about the benefits of ending on a good note. Try telling her, ‘Oh man, I d really like to stay longer, but I have an appointment to go to’maybe we can get together next week?’ When you introduce a time constraint, she’ll savor your moments together and will actually be SAD to see you go. How do you think that will affect your chances for a SECOND date? When you call up your girl to ask her out, make sure you give her the impression that you have somewhere else to go after the date. This way, she won’t have to worry about things dragging on in case (heaven forbid) that the date doesn’t go too well. Just to remind you of course, that you have every intention to have a good time with her. You’re only putting a time limit on the date so she’ll WANT to see you after it ends. I’ve advised a lot of my friends to go with this general dating plan and they’ve yielded very favorable results. Speaking of great results, remember that this is only the opening act. Once you’ve had a good feel of her personality and the things that she likes, you’ll be able to zero in on what you can do the next time around. 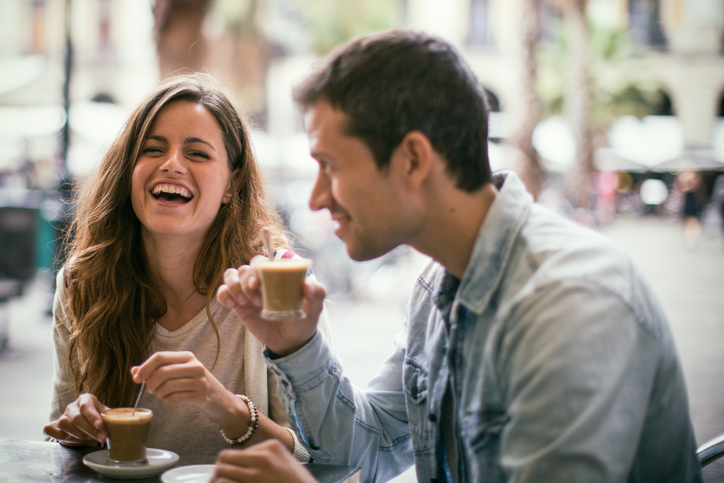 Perhaps she needs a couple more of these quick coffee shop dates to really set the stage, but eventually you’ll have enough leverage to take things more seriously. Once you’re ready to go to the next level, up the ante by putting together a bunch of activities you can do in the span of a day (as opposed to just an hour). Your previous dates should give you the ‘intelligence’ to help figure out what things you can do on your next ‘assignment’. If she’s into everything art-related, then summon your inner James Bond and take her to the local museum or to a bookstore if a new title is coming out. Then you could go to the park to grab a quick bite (better if you know about her favorite snack beforehand!). Whatever you have planned, your follow-up dates should allow you both plenty of time to chill out and bond throughout the day. If you plan things correctly, you’d be surprised how long even ONE day will seem to her. Create enough noteworthy experiences in her mind, and she’ll carry those memories for a long time to come. Having said that, do your homework and have a backup plan ready to prevent any unforeseen factors from raining on your parade. And if your date doesn’t exactly go according to plan, don’t flip out. It’s not cool to blow a gasket in front of her because she’ll be looking to you for direction and initiative. If you blow it off like it’s no big deal, then she’ll follow suit. This is your direct link to the masters of seduction because they’ve put down the techniques and attitudes they’ve used in their own romantic pursuits. If you want quality women, and want more than just scripted lines and one night stands, if you want the confidence and winning attitude to take your skills and success to the next level, let this challenge your beliefs about what women really want and how to be the guy that gets her attention, and show you the way to become a seduction success story. Discover the strategies to turn around the negative patterns of your relationship and learn how to communicate with your ex to make her want to be back in your life (and your bed) in minimum time. Be the first to comment on "Innovative Ideas For Dates She Will Never Forget"